Generous Capacity This is a great choice if you regularly find yourself running out of freezer space. There’s a total capacity of 157 litres – a huge improvement on most under counter and fridge/freezer combi designs. Inside, threetransparent drawers and two drop-down sections help you organise your items by type. Separate meat, vegetables and convenience meals – with maximum visibility you’ll spend less time rummaging around. Fit Anywhere Design This freestanding model can be placed anywhere in your kitchen or utility room. As long as there’s a power source nearby, the TU55144W will fit right in. The right opening door can be reversed. That means you can adjust the hinge and avoiding bumping the door on obstacles when it’s open. Levelling legs ensure stability on uneven floors to ensure tomatoes and eggs don’t roll out when you open the door. Quietly Efficient The sound emission levels reach just 42 dB, so you’ll barely hear it in action. It’s easy to forget the freezer is there, even if you have an open plan kitchen/diner. Our installation service overs the whole of Greater Manchester and also many parts of Lancashire. Our prices are constantly monitored to ensure that we are as competitive as national retailers. 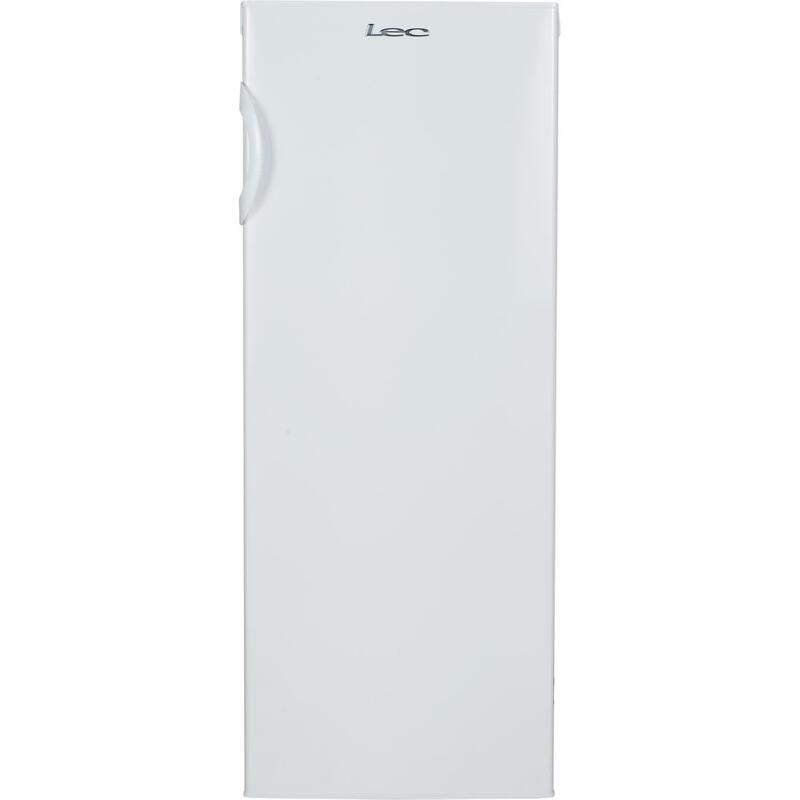 This LEC Fridge Freezer is also available with a bespoke white glove delivery and installation service. Ask in store for further details.